The full moon in the month of May is known as the “Flower Moon” as in majority of the places flowers are in abundance. It is also known as the Full Corn Planting Moon or the Milk Moon. It is also called a lunar perigee that was later dubbed a “supermoon” by astrologer Richard Nolle back in the 1970s. The term is used to describe a new or full moon at 90% or more of its closest orbit to Earth. 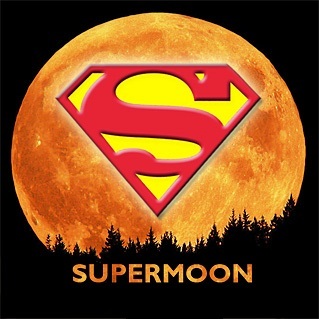 Did you missed the last year’s supermoon? Well dont worry because the supermoon is back with a bang! 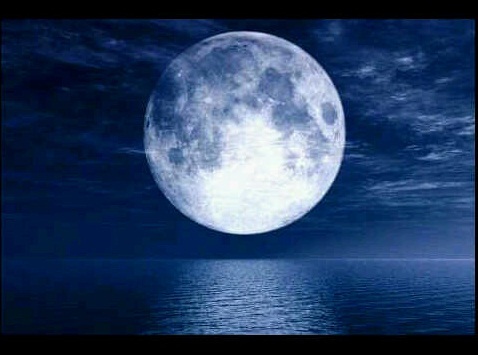 It will be the biggest and brighter than the other full moons of 2012. Saturday night will be the night the moon gets closest to Earth in the year 2012. The moon will be about 221,802 miles from Earth. That’s about 15,300 miles closer than average. On May 5 night, the moon will be up to 14 percent bigger and 30 percent brighter than the other full moons of 2012. Next year’s supermoon will be a bit farther away than this year’s. On March 19, 2011 the Moon passed by Earth at a distance of 356,577 kilometers (221,567 miles) that was the closest it would get in last 18 years. Unlike this year, the moon of March 19, 2011, was nearly 250 miles closer to the planet, creating panic among some people who thought that the supermoon would slap Earth with disaster. Astronomers recommend that the best time to view the supermoon is during the time of moon rise, when the glowing disc emerges behind the majestic trees or even towering skyscrapers, the supermoon creates an inexplicable illusion that it’s even larger than when it’s hanging in the sky. Tides could be higher than normal around the coast of Pakistan tonight as supermoon plans to make an epic return to the sky of the planet. Karachiites enjoyed it last year and this year they will enjoy it as well, tides are expected to get higher than normal during the night. Tides that are higher during the full moon are know spring tides. Supermoon is a nickname of Disasters? There had been number of cases that when ever a “super moon” phenomenon is expected, disasters rock the planet Earth, there were supermoons in 1955, 1974, 1992, and 2005 and, in each of these years, there were extreme events of nature–of one kind or another. Within days of the 2005 super moon, for example, a 9.2 magnitide earthquake struck Indonesia. Then there was Hurricane Katrina later that year that battered the American coast and brought massive damage to the country. Last year, just nine days before another super moon, came the Japanese earthquake, killing perhaps thousands of people and triggering a horrifying tsunami. It is said to be the fifth largest earthquake ever recorded in living memory. Another disaster in the making? Supermoon will grab most of the spotlight but other celestial events are also likely in this month. May 20 will host a new moon and a partial solar eclipse. On May 21, Venus will be visible just north of the moon.